Derby and his former owner at a clinic with Leslie Law. Derby is a 14 year old Thoroughbred whose registered name with the Jockey Club is “Holy Vows.” He was a failure as a racehorse, but has since compiled an impressive resume. 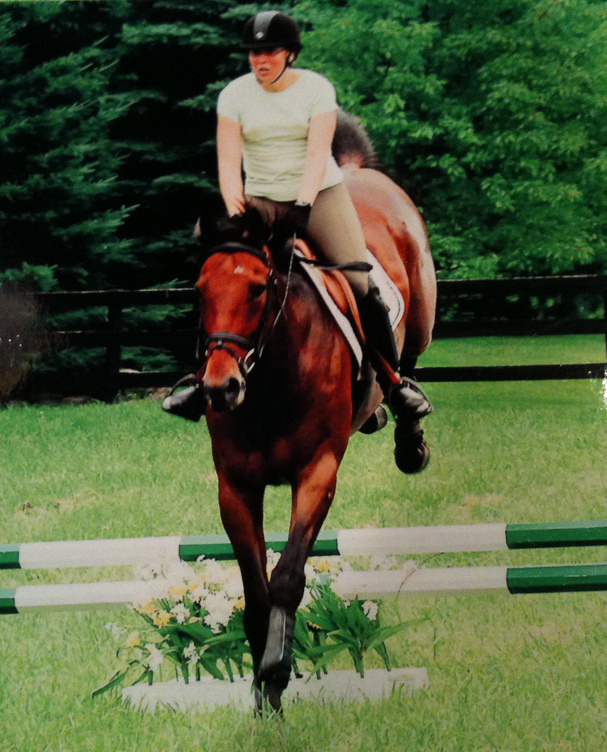 He’s been a lesson horse, has been ridden by children, has schooled cross-country (including a clinic with Leslie Law, over prelim jumps), been out on the trails at the Barrington Riding Center and has carted me to five dressage schooling shows. I purchased him in 2011 from a friend who had bought him for her boys. However, they weren’t ready to give up their ponies, so he needed a new home. 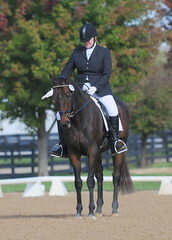 A month after I bought him, we went to our first show together and had a wonderful day. Derby is an athletic but uncomplicated horse. He loves jumping and would be a great Pony Club horse. 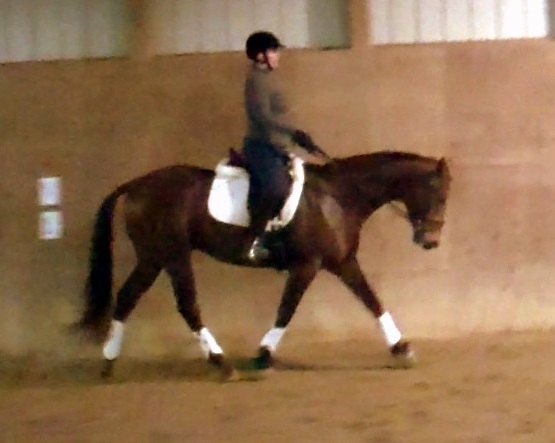 He has a nice dressage foundation, moving nicely off your leg and listening to your half halts. He’s excellent for the farrier and vet, stands nicely to be bathed, loads easily on the trailer and rides very quietly. He’s sound with no maintenance. Derby has good ground manners, cross ties and is a pleasure to handle. He’s also a very sweet boy who likes people and will come when you call his name.